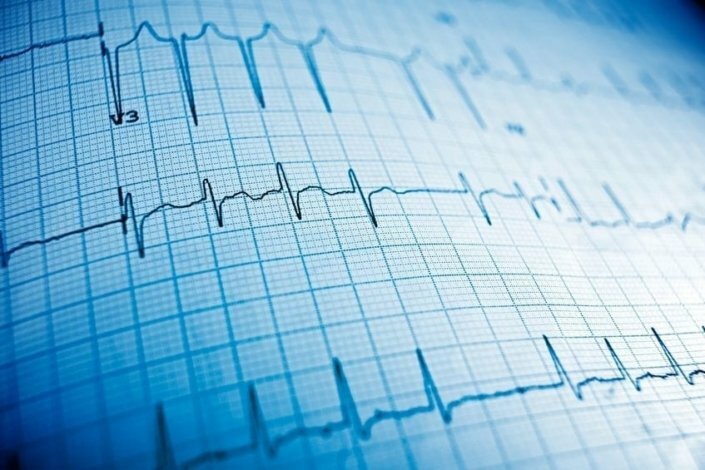 Sick sinus syndrome is the name for several conditions in which the sinus node in your heart does not work the right way. The sinus node (also called the sinoatrial node) is a natural pacemaker in your heart that helps your heart beat steadily. An electric current starts in one of the upper chambers (called the atria) of the heart and goes through the heart to the bottom chambers (called the ventricles). The sinus node can increase your heart rate during times of high demand, such as during exercise. If you have sick sinus syndrome, your heart rate may be too slow or too fast to meet the needs of your body. About 1 in 600 people with heart problems have sick sinus syndrome. It usually affects people who are at least 70 years old. Women are affected about as often as men. Feeling like you are going to pass out. Feeling like your heart is skipping beats or beating too fast or too slow. Having difficulty thinking or remembering things. Sick sinus syndrome sometimes can be caused by other heart conditions. Also, it may be caused because of advanced age. In many cases, however, the cause is unknown. Other medical problems can cause the same symptoms as sick sinus syndrome, so it’s important to find out what is causing your symptoms. Your doctor may be able to tell whether you have sick sinus syndrome by doing some tests. One of these tests is electrocardiography (also called ECG). During this test, your doctor will have you lie down so your heart can be monitored. The ECG machine makes a picture (or tracing) that shows your heart’s electrical signals. Your doctor may also have you wear a special monitor, called a Holter monitor, for a few days to keep track of your heart’s electrical signals. Can sick sinus syndrome be prevented or avoided? Do what you can to keep your heart healthy. Eat a nutritious diet. Exercise regularly if your doctor says you can. Don’t smoke. These things may help you prevent heart disease. However, sick sinus syndrome is not preventable in all cases. Most people who have sick sinus syndrome will need to have an artificial pacemaker put into their body. A pacemaker is a small electronic device that is put under the skin on your chest. It helps your heart keep a regular beat, especially when your heart beats too slowly. If you have a pacemaker and your heart rate is too fast, your doctor may prescribe medicine to control it. In addition, your doctor may want to change some of your other medicines because some medicines can make sick sinus syndrome worse. Sick sinus syndrome usually gets worse with time. People with sick sinus syndrome have a higher chance of getting other heart-related conditions. These include atrial fibrillation (an irregular heartbeat), heart failure, and cardiac arrest. Some people with sick sinus syndrome may have a greater risk of having a stroke. These people might be prescribed a blood-thinning medicine, such as warfarin. Will I need a pacemaker? What does that procedure involve? How will my life change after I have a pacemaker? Will I be able to return to my normal levels of activity? Does sick sinus syndrome put me at risk for any other health problems?